With Sitecore 9.1 Sitecore JSS will no longer be in Technical Preview. JSS currently supports OOTB, Angular, React and Vue.JS, who knows what will be coming next, it seems to be that more front end developers are interested to learn JSS because it gives them freedom. Sitecore JSS requires a different License. Partners will need to regenerate a license in SPN. – JSS 9 with React requires React 16.3 or later, because of new Context API in React. – JSS 9 with Angular requires Angular 6.x , anybody on Angular 5 can continue on JSS 8 npm packages. – Layout Service will no longer return ‘editable’ value for fields, unless Sitecore is actually in Experience Editor. 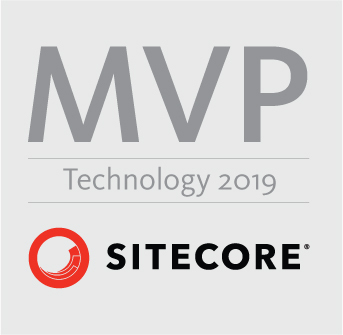 – Sitecore.Ship is replaced with manifest package deployment system. What does that mean, a shared secret known to the deployer and server is used to deploy signed package HMAC. – Completely refactored React, Angular and Vue apps. There is no more Basic or Advanced App. The content of Sample App has been refactored to JSS Specific Style-guides. – Sample Apps have been heavily documented for ease of learning. – All Sample apps now support GraphQL. A new scaffold has been added that will automatically scaffold a JSS component. Sitecore Component itself, to reflect the changes, that you have made in the route. Go ahead start experimenting with JSS, and look a the sample content that comes with initial creation of an app. If you have any questions, do not hesitate to reach out to me, on twitter or Sitecore community, on slack on specific #JSS channel.